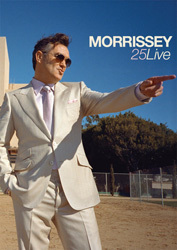 This video recording of Morrissey live at LA's Hollywood High School on 2 March 2013 was directed by James Russell. 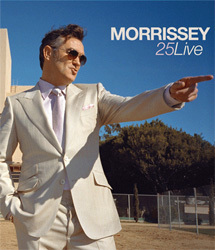 It was titled "25Live" to mark Morrissey's 25th year as a solo artist. 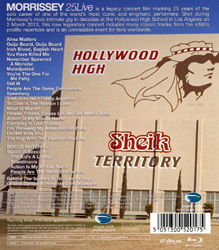 The film was screened in theaters in US and UK cinemas including IMAX 3D during the summer of 2013, prior to this release on DVD and Blu-Ray formats. 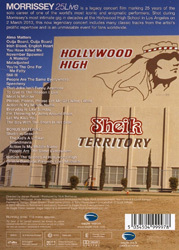 A trailer can be found at the film's official website. Front photo by Terry Richardson. Japan: This release was promoted in Japan with the help of a specially pressed promo DVD [Eagle Vision DBH-25003] disc mailed out in a single slim case without insert.